Cate Shortland reprises the themes of her previous feature Somersault with another tale about another girl who came down in the last shower, a hard rain that dumps her unarmed into a world corrupted. 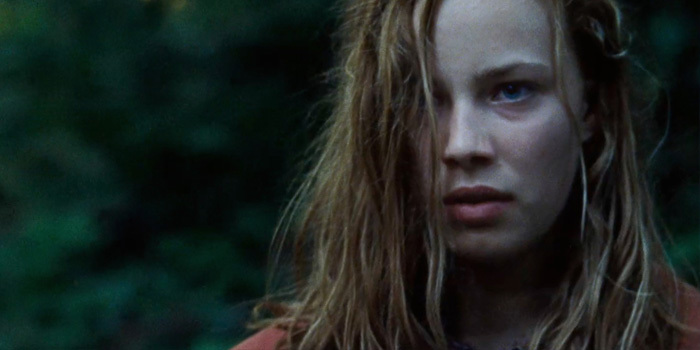 In Somersault, Abbie Cornish’s performance as an 8 year old in the body of an 18 year old lent a particular strangeness to its coming of age scenario. Lore is more naturalistic but set in the heightened circumstances of a fallen post-Nazi Germany. For the most part Lore is beautifully wrought. Its only failing is that the heroine learns pretty much exactly what you’d expect her to learn about her ubermensch upbringing, and expresses her final disillusionment in a pique of underwhelming metaphor.